Yahoo released second fiscal quarter earnings Tuesday. A string of acquisitions and corporate changes haven't yet rekindled Yahoo's advertising business. Yahoo on Tuesday reported quarterly sales that fell slightly short of both Wall Street's expectations and its own results from a year ago. Excluding revenue shared with advertising partners, Yahoo's sales came up just shy of $1.1 billion for the quarter ended June 30, down about 1% from last year. Sales for Yahoo's display advertising (banners and video ads) business dropped 11%. Yahoo's core profit for the quarter, excluding stock-based compensation and some one-time expenses, rose to $331 million, up 46% compared to last year. Excluding some expenses, Yahoo earned 35 cents per share, beating the 30 cents per share consensus forecast of analysts polled by Thomson Reuters. "I'm encouraged by Yahoo's performance," Yahoo CEO Marissa Mayer said in a written statement. "Our business saw continued stability, and we launched more products than ever before, introducing a significant new product almost every week." Though display ads continued their downward trend, the company said it believes that core business will soon be resuscitated. 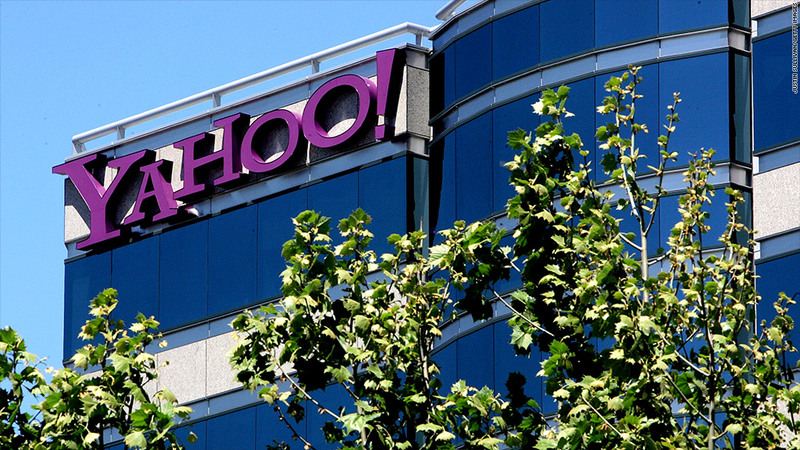 Mayer noted that Yahoo's page views are rising again after more than a year of declines. Visits to Yahoo were up in June -- the first month page views grew year-over-year in 2013. And revenue from search ads fared better than the display advertisements, growing 5% year-over-year and reaching $404 million. That resurrection in page views is partially due to recently refreshed versions of Yahoo mail, weather, sports, news and Flickr -- both on the desktop and on mobile. "Yahoo's future is mobile and we're delivering our products mobile first," Mayer said on a conference call with analysts. The revamped Yahoo mail app for tablets, for instance, brought a 120% increase in daily active Yahoo mail users. Flickr's redesign and offer of 1 terabyte of free space for each user lifted daily photo uploads by a factor of three, Mayer said. This week marks the one-year anniversary for Yahoo with Mayer at the helm. The Sunnyvale, Calif.-based company has acquired 16 startups, nine of which were purchased in the last quarter including its largest buy, Tumblr. Yahoo expects that acquisition to grow its audience to more than 1 billion monthly visitors. For the current quarter, Yahoo said it expects revenue to come in between $1.06 billion and $1.1 billion excluding traffic acquisition costs, in line with analysts' estimates. Shares of Yahoo (YHOO) didn't move much on the news, increasing less than 1% in after-hours trading. The challenge for Yahoo going forward will be to turn its increased traffic into an increase in advertisers. "The material impacts from a revenue standpoint will be in 2014," Mayer said. Yahoo rival Google (GOOG) and search partner Microsoft (MSFT) are both slated to release their quarterly earnings on Thursday.